Happy Almost Thanksgiving! What are your plans? We're having a lot of people here this year - 22-26 - still not sure. I'm realizing how much my furniture business has taken over the house. We have been trying to find locations for all of the finished pieces and stacking unfinished pieces in the garage. If the kids coming were younger, I could just send them to the garage and tell them it's a maze. FUN! Oh well - they're old enough to know what hoarder means. I lose. 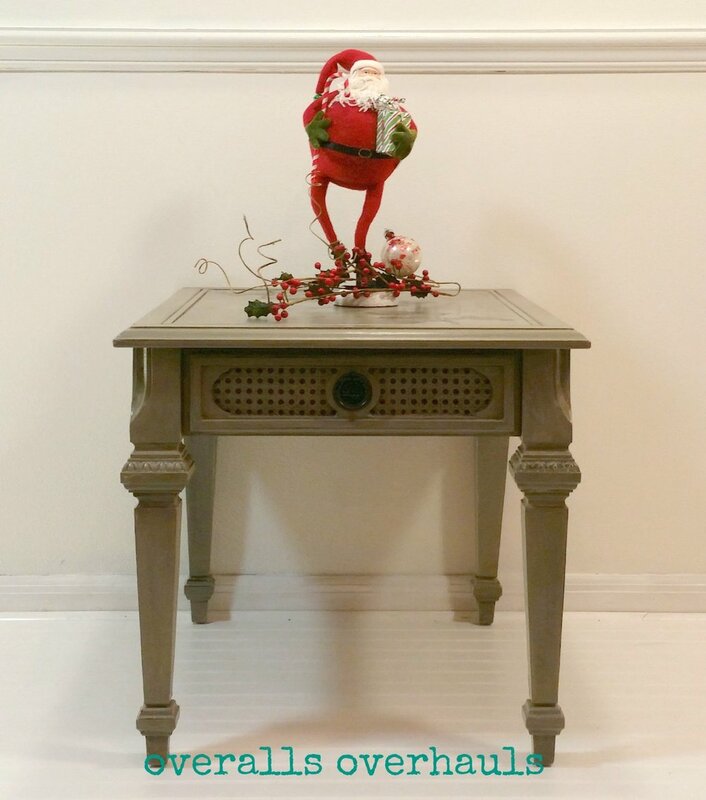 Spent yesterday staging and photographing furniture for holiday pictures. It's my substitute for making the kids wear matching clothes and hauling them to the Sears for holiday pictures. Got to drag all the Christmas stuff out of the Harry Potter closet under the stairs. So fun. I'm excited for Christmas this year - all four boys will be here!!! It's been awhile since that's happened. I may have to buy them matching pajamas. In the meantime, I'm redoing a few things. I'm really excited about one project - I'll share as I go along once I get started - hopefully tomorrow. It's going to be really cool - I hope! Hope all is well in your world. Leave a comment about how you're spending Thanksgiving. If you aren't doing anything, come on over!